I love returning to the Amish community of Hart County and especially enjoyed doing so at Christmas! It is a pleasure to revisit past characters, as well as meet new ones, as Gray brings another compelling story to life. When accidents occur and danger threatens, Susanna Schwartz and Neil Vance are drawn together in unexpected ways. A great blend of suspense and romance, I thoroughly enjoyed The Gift and look forward to continuing this intriguing series! 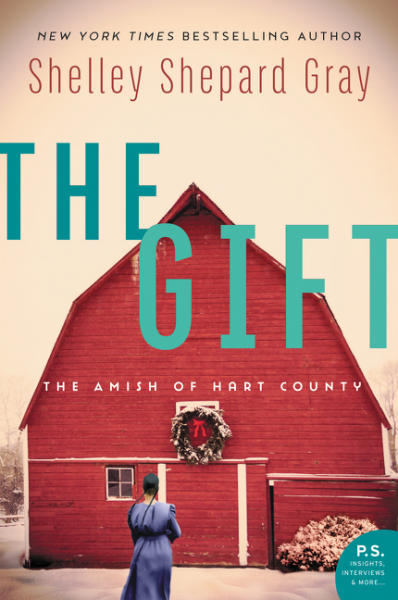 Enter to win a copy of The Gift. Five winners will be chosen! Click the image below to enter to win. The winners will be announced November 22nd on the Litfuse blog! The Schwartz family is happy to be spending Christmas on their new farm in Hart County. But when Susanna Schwartz hears gunshots that causes her buggy to overturn, and then her little sister falls through a wooden bridge into the icy creek, it becomes clear from these dangerous “accidents” that someone wants them gone. Neil Vance has been heartbroken ever since his parents lost their family farm. He knows it’s not the Schwartz family’s fault, but he can’t help but be resentful. Until he meets Susanna. She is kind-hearted and bold, and Neil can’t stop thinking about her pretty green eyes. Neil thinks the accidents are just that, but Susanna’s father is convinced the Vance family is responsible. Susanna refuses to believe Neil would do anything to harm her. She’s fallen in love with him and knows he is a good man. But her family is ready to pack up and move, and time is running out to uncover the truth before someone gets hurt . . . or worse. Read what other bloggers are saying about The Gift. 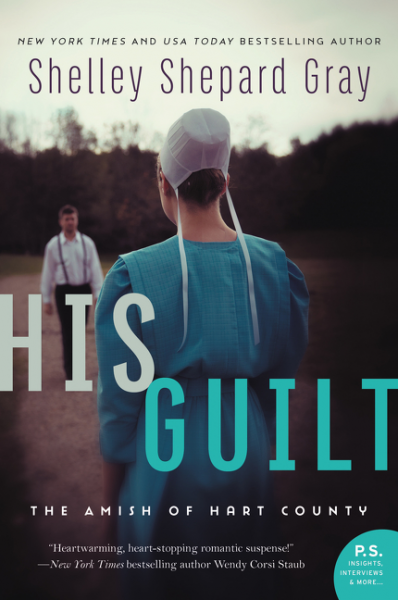 Not your typical Amish fiction, His Guilt is sure to keep readers guessing! 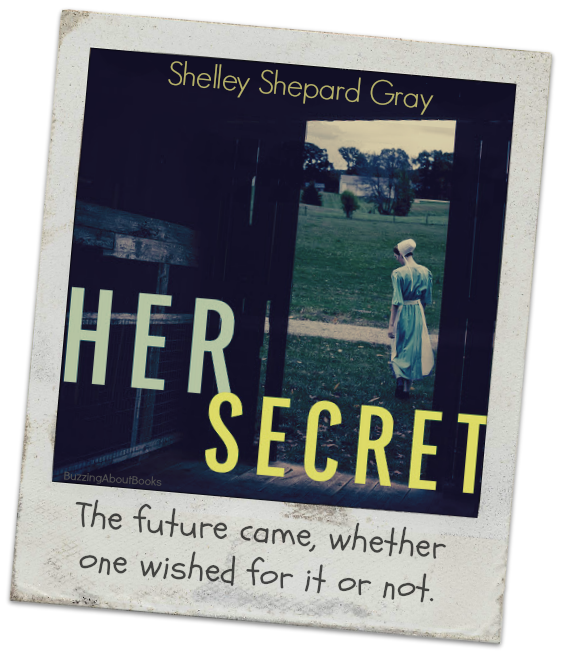 Shelley Shepard Gray is a wonderful storyteller, and she creates an ominous ambiance in this second Amish of Hart County story. Mark Fisher is an intriguing character, and I was eager to discover how his relationship with Waneta Cain would unfold. I thoroughly enjoyed their dramatic story and am eager to continue this compelling series! Enter to win a copy of His Guilt. Five winners will be chosen! Click the image below to enter to win. The winners will be announced July 25th on the Litfuse blog! Neeta is one of the few people in Hart County who doesn’t believe Mark is guilty of hurting anyone. However, his worldliness and tough exterior do make her uneasy. As she begins to see the real man behind all the gossip and prejudice, she wonders if he is the man for her. Just when Mark starts to believe a new life is possible, a close friend of Neeta’s is attacked. Once again, everyone in the community seems to believe he is guilty. But what hurts most is Neeta’s sudden wariness around him. When another woman is hurt, a woman who is close to both Neeta and himself, Mark fears he knows the real culprit. And time is running out. Will Mark be able to find him before Neeta becomes his next victim? Read what other bloggers are saying about His Guilt. Her Secret is a tale that will keep you turning the pages! 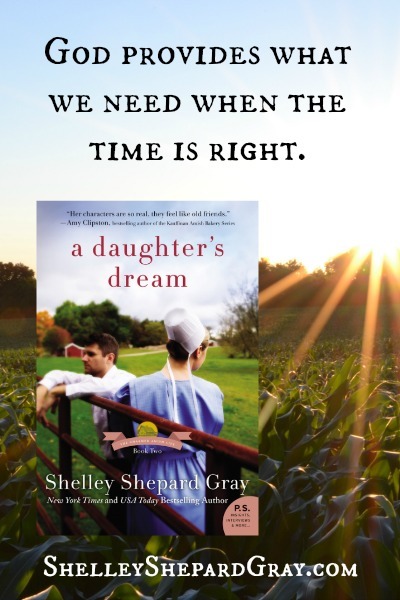 Shelley Shepard Gray is an engaging storyteller, and the atmosphere of this story and the emotions of its characters are palpable. Each member of the Hilty family has been affected by the events that drove them to make a fresh start, and their reactions vary as secrets are revealed and danger threatens. 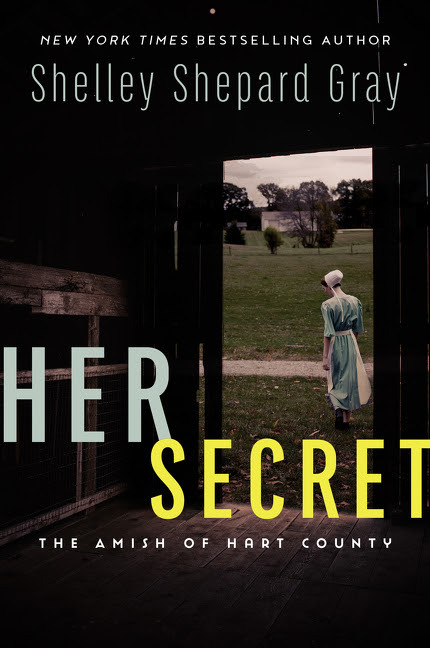 A great blend of compelling suspense and charming romance, I thoroughly enjoyed Her Secret and look forward to revisiting The Amish of Hart County! After a stalker went too far, Hannah Hilty and her family had no choice but to leave the bustling Amish community where she grew up. Now she’s getting a fresh start in Hart County, Kentucky…if only she wasn’t too scared to take it. Hannah has become afraid to trust anyone-even Isaac, the friendly Amish man who lives next door. She wonders if she’ll ever return to the trusting, easy-going woman she once was. For Isaac Troyer, the beautiful girl he teasingly called “The Recluse” confuses him like no other. When he learns of her past, he knows he’s misjudged her. However, he also understands the importance of being grateful for God’s gifts, and wonders if they will ever have anything in common. But as Hannah and Isaac slowly grow closer, they realize that there’s always more to someone than meets the eye. Just as Hannah is finally settling into her new life, and perhaps finding a new love, more secrets are revealed and tragedy strikes. Now Hannah must decide if she should run again or dare to fight for the future she has found in Hart County. Read what other bloggers are saying about Her Secret. Enter to win a copy of Her Secret! Five winners will be chosen and announced April 3rd on the Litfuse blog! Click the image below to enter to win. As I opened the striking cover if this book, I was pulled into the story and lost in its depths. With beautiful, sweeping strokes, Jocelyn Green paints a vivid picture of a lesser known period of history. Julianne Chevalier is a strong character with a resolve to overcome, and her journey held me captive and continues to linger in my mind. 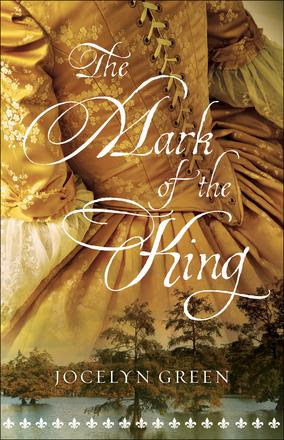 Rife with tumult and treachery, The Mark of the King is a riveting tale of redemption, one historical fiction fans won’t want to miss! Click the graphic below to enter to win a copy of The Mark of the King. Five winners will be announced February 7th on Jocelyn’s blog! When they arrive in New Orleans, there is no news of Benjamin, Julianne’s brother, and searching for answers proves dangerous. What is behind the mystery, and does military officer Marc-Paul Girard know more than he is letting on? With her dreams of a new life shattered, Julianne must find her way in this dangerous, rugged land, despite never being able to escape the king’s mark on her shoulder that brands her a criminal beyond redemption. I received a complimentary copy of this book. No review was required, and all thoughts expressed are my own. Click here to read what other bloggers are saying about The Mark of the King. 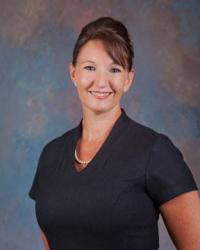 Rebecca Kinsinger has always dreamed of being a teacher. But when she’s given the opportunity she’s been waiting for at Charm Amish School, she’s dismayed to discover that teaching is hard work—work she’s afraid she’s not very good at. That is, until Lilly Yoder joins the class. A thirteen-year old who’s just lost her parents, Lilly is in need of someone like Rebecca. For the first time since starting her new job, Rebecca feels a sense of purpose. But when she meets Lilly’s uncle, Jacob, his good looks and sweet, easy-going temperament are hard to ignore. How can she even entertain romantic thoughts of Jacob when his niece is her student? Suddenly becoming Lily’s sole caregiver, Jacob Yoder never thought he’d be a single parent—or a farmer. Having been living in Florida as a carpenter, Jacob feels more at home wielding a hammer than a backhoe. The only bright spot in his life is Rebecca Kinsinger. As Lily and Rebecca develop a bond, Jacob’s fondness for the pretty teacher grows, too. But when a fateful accident brings them together, Rebecca and Jacob must choose between duty and desire. Will they follow the path before them? Or set out to find true happiness…and true love? A Daughter’s Dream is a wonderful story! Shelley Shepard Gray welcomes readers back to Charm, Ohio, in the second book of her Charmed Amish Life series. For those who have not enjoyed Book 1, A Son’s Vow, this novel easily stands alone. However, I encourage you to read both books for a greater understanding and enjoyment of the characters and their stories. One of my favorite things about Shelley Shepard Gray’s storytelling is her excellent characterization. From people to pets, she crafts endearing characters I enjoy spending time with. I loved Rebecca and Jacob and their emotional, heartfelt journey to happiness. 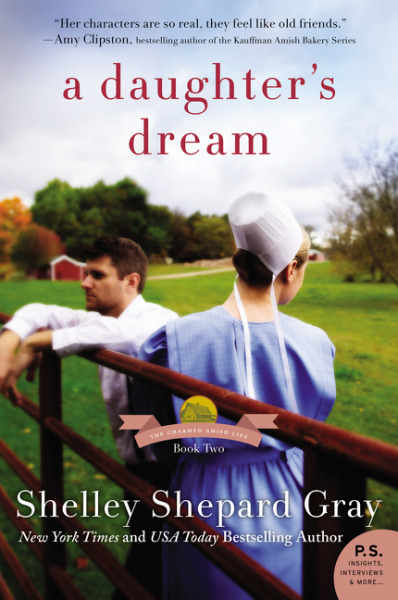 Engaging and entertaining, this sweet story is sure to please fans of Amish fiction. I loved A Daughter’s Dream and look forward to revisiting Charm and its residents as this delightful series continues! Enter to win a copy of A Daughter’s Dream—five winners will be chosen! The winners will be announced June 8 on Shelley’s blog! As San Francisco rises from the ashes, an age-old battle looms between corruption and the promise of new beginnings. The devastating earthquake is just two years past, but the city of San Francisco is still trying to recover. Destruction of this magnitude is not so easy to overcome—and neither are the past regrets shadowing Elizabeth King’s hopeful future. Hoping to right her wrongs, Elizabeth dedicates herself to helping girls rescued from slavery in Chinatown brothels, even if it means putting her own life at risk to sneak through the gloomy alleys and rooftops where dangers lurk. Putting her life on the line for a worthy cause is admirable. But opening her heart is even more terrifying. So when Elizabeth meets attorney, Charles McKinley—a man who dreams of reforming San Francisco’s crooked politics—Elizabeth begins to doubt: Can she maintain her pretense and hide her past? Or will her secret jeopardize both their futures? 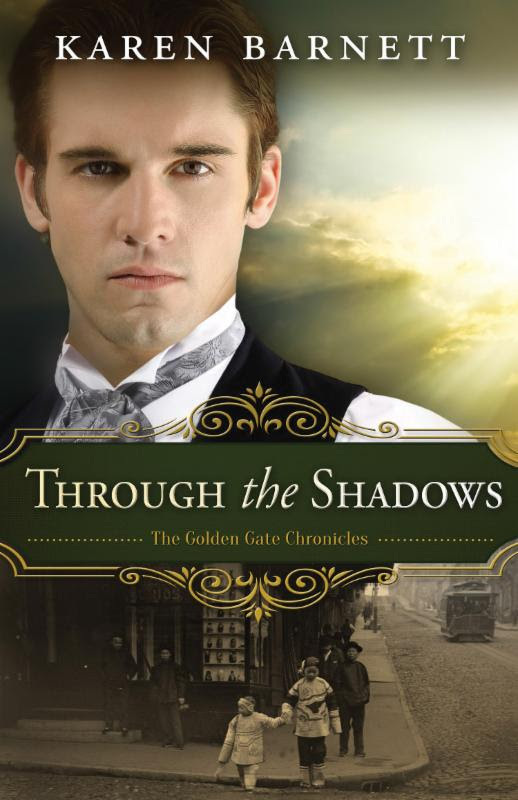 Through the Shadows is a captivating story! 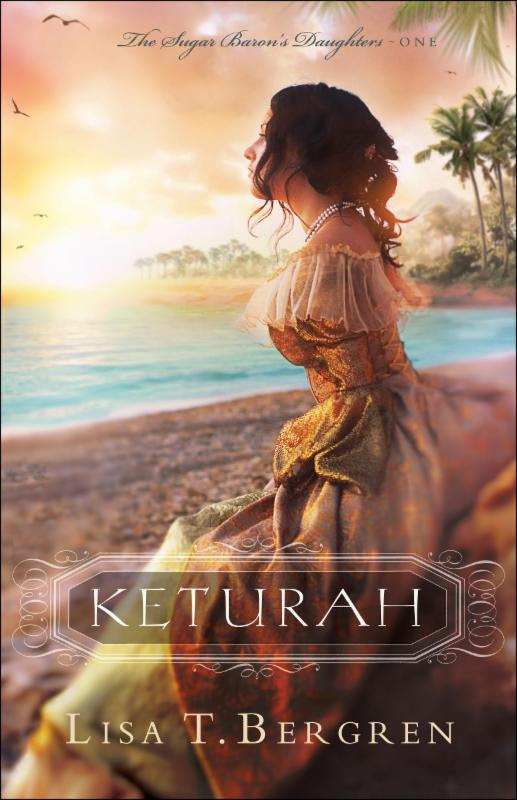 Karen Barnett is a master storyteller, bringing her stories to life with excellent characterization, vivid imagery, and rich historical details. She deftly expresses the feelings and emotions of her characters, and I loved experiencing Elizabeth and Charles’s journeys. I was also thrilled to revisit beloved characters from the two previous books in the Golden Gate Chronicles. Dramatic and emotional, Through the Shadows completely engaged me from beginning to end! I loved this story and reveled in the beauty of the spiritual messages woven through its pages. Once again, Karen Barnett has penned an exceptional story that is not to be missed! Click the image below to enter to win a copy of Through the Shadows—five winners will be chosen! The winners will be announced June 7 on Karen’s blog! Karen Barnett is the author of Beyond the Ashes, Out of the Ruins, and Mistaken. 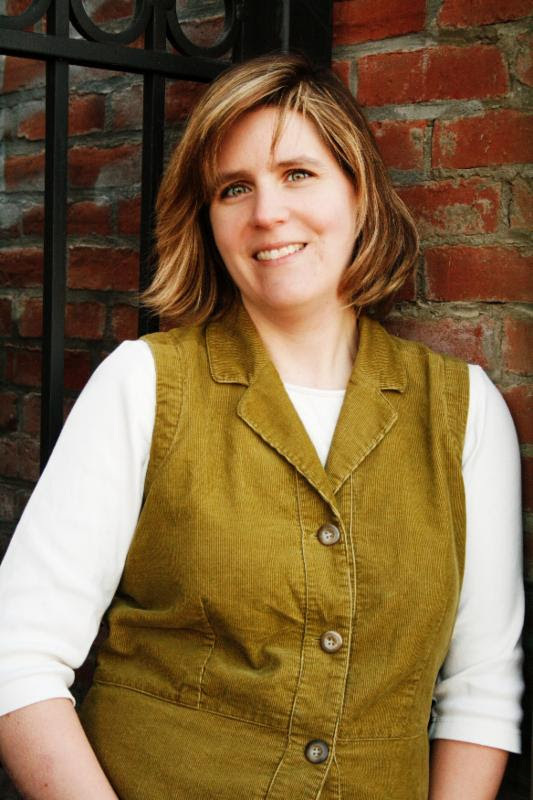 Named the 2013 Writer of Promise by Oregon Christian Writers, Karen lives in Albany, Oregon, with her husband and two kids. When she’s not writing novels, she loves speaking at women’s events, libraries, and book clubs. I received a complimentary copy of this book in exchange for an unbiased review. All thoughts expressed are my own. Click here to read what other bloggers are saying about Through the Shadows.